While I’ve only been an officially contracted videogame journalist for a short time, I’ve written about the industry in some capacity for about four years, give or take. I’ve reviewed a lot of games in that time. Some were a pure joy to experience, while others reminded me that this is a job. 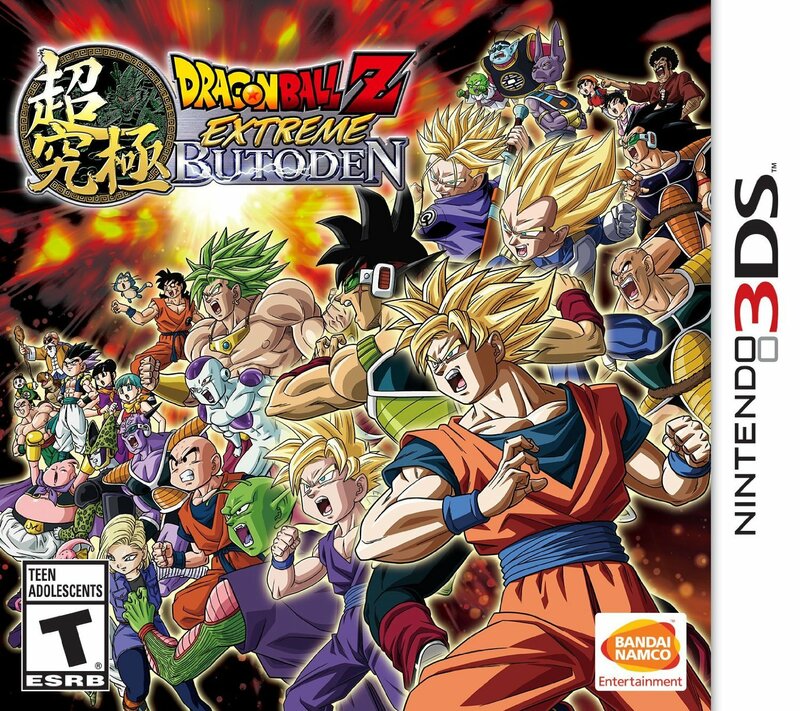 But then there’s Dragon Ball Z: Extreme Butoden. While, it’s a strong title developed by Arc Systems Works, who at this point have pretty much perfected the 2D fighter, there’s something weird about this title. Maybe it’s the strange mix of classic and modern visuals, or maybe it’s the A.D.D style storytelling, but this is one of the weirdest games I’ve ever played. I am seriously having trouble wrapping my head around what I went through. It wasn’t bad, don’t get me wrong; it was actually very fun. But the whole experience felt like it wasn’t geared towards me. I have a hard time figuring out why that is, though. It’s a classic fighter through and through, with 16-bit visuals and sounds, and it’s based on one of my favourite shows of all time. Every character looks like they’re dragged right out of a Sega Genesis game; even their voices sound straight out of 1994. Mix that with more traditional 3DS-style backgrounds, and there’s a very interesting presentation. I should have had a better experience overall. But I didn’t, and the biggest reason for that is a really weird story presentation. There are two storylines. One is an extremely streamlined version of the actual events of Dragon Ball Z, dropping you into iconic battles throughout the series. There are five Sagas to play through as different characters, and the premise for that is pretty cool. But it’s told in a very odd manner. Imagine a six-year-old child telling you a story; parts are overlooked, huge events are casually mentioned, and minor details are brought up, but serve no purpose for the game, and some issues actually resolve themselves without you. I legitimately laughed a handful of times throughout my playthrough because it was so all over the place. Mind you, this is a fighting game, so story isn’t the most important thing here, but I don’t think I’ve ever seen Dragon Ball Z told this way. The second storyline doesn’t hold up any better, but at least it’s original. In this mode, Omega Shenron used minus energy to bring the past and future together, if you don’t follow the series that probably sounded like a bunch of made up words strung together, and you’re probably right, but this is a big deal. Every villain is back, and probably pissed off about the whole getting killed thing, so Goku must assemble his friends to find the Ultimate Dragon Balls to stop this madness. This mode has an overworld map like Super Mario Bros. 3 where you can see where you’re going next and read your objective before each mission. It was pretty interesting; the story itself has promise, but suffers from the same frantic storytelling that hurt the other story mode. The actual fighting was fun, but doesn’t introduce anything new. Considering this is the same studio that gave us the BlazBlue and Guilty Gear series’, I expected a little more. Everything controls as well as you’d expect. Combos are very easy, and everything feels fluid, and there are 20 playable characters and 100 support characters to choose from. In that regard, it was fun, but it’s not a very difficult game, and you can really mess up an opponent if you get him stuck at the edge of the map. I also didn’t like Super Saiyan Goku as a playable character, rather than an upgrade. He’s way too overpowered compared to anyone else, and it took away the satisfaction of turning Super Saiyan. I actually had some flashbacks of the 1994 classic Super Nintendo and Genesis title Mighty Morphin’ Power Rangers. Both games are okay fighters that get by on the ridiculousness of the series they’re tied to. That’s what makes it fun. Whether it’s playing as the Dragonzord or Cell, they’re both enjoyable because they have a crazy backlog of content that lends itself well to this medium. 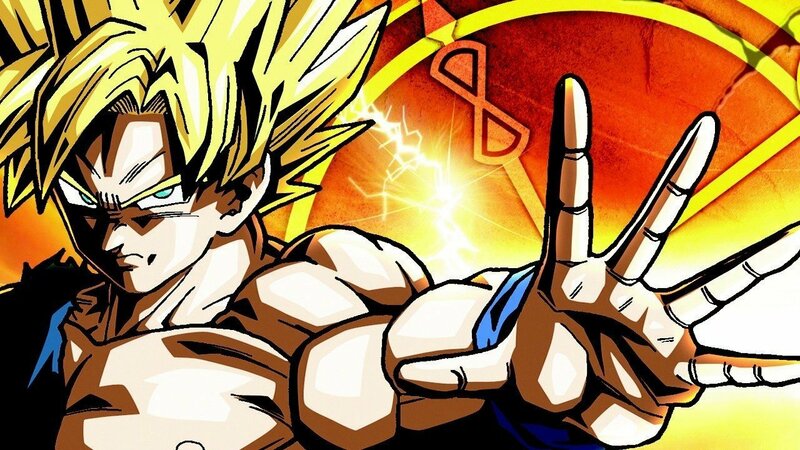 And that’s not a bad thing in Dragon Ball Z’s case, but it does leave a little bit of a sour taste in your mouth when there is a legacy of really good fighting games already attached to the series. It just feels like a game I’ve played before. On top of that, the 3DS isn’t really the most comfortable device to play a fighter on. Maybe my expectations were just too high for the game, but I feel it was warranted. 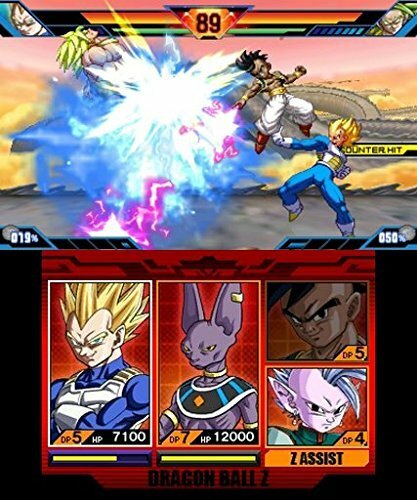 For the most part, Dragon Ball Z: Extreme Butoden is fun and simple with creative visuals that is good in short playthroughs. But its weird style of storytelling and lack of innovation make it hard to really invest in anything. Despite that, I don’t think I’m going to forget this game any time soon. Its weird approach to almost everything left an impression on me. It’s definitely unique, and worth a try if you’re a fan. There are two storylines. 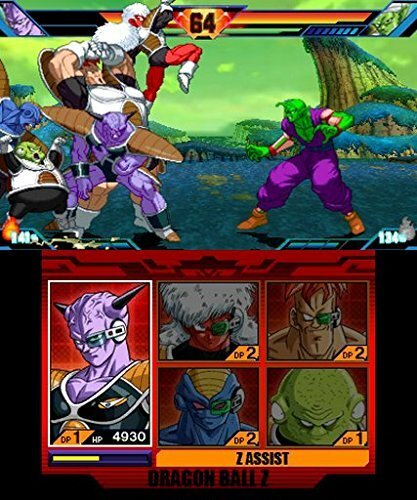 One is an extremely streamlined version of the actual events of Dragon Ball Z, dropping you into iconic battles throughout the series.